Multi day hike in day bag, how t do it? 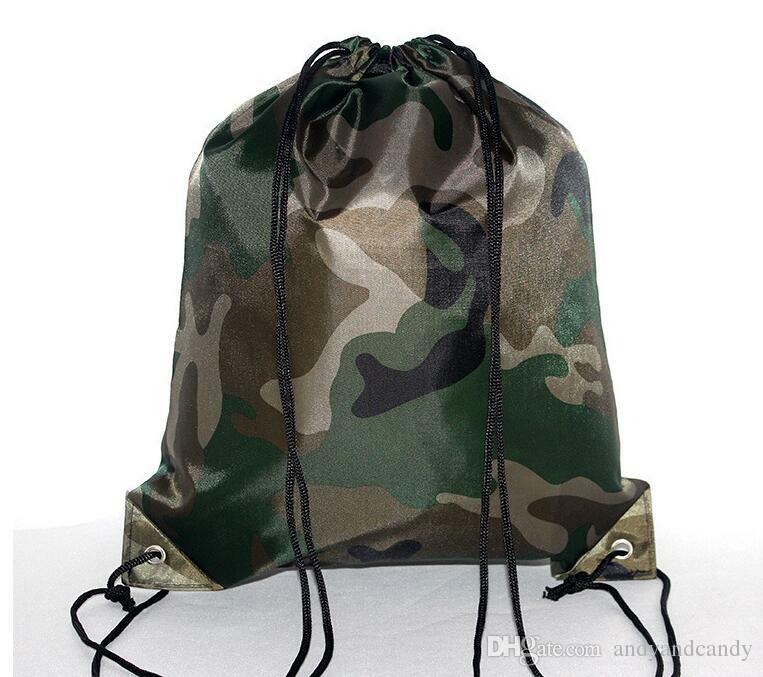 Thread: Multi day hike in day bag, how t do it? Hey guys I'm curious to see how every one else does this, multi day trip where you hike in, then set a bit of a base camp and do day trips from there, I have tried emptying every thing out of my main pack and used that as a day bag. And I have tried stuffing a small day bag into my main pack on the way in. I need a bag big enough for lunch and some warm clothes etc, I tend to roam a fair distance some days so take a few extras incase I get stuck out. So a bum bag style of thing doesn't quite cut it. I like having my day bag but when packing it always seams like uneccesary weight to pack in, wearing my big pack tends to be a bit cumbersome in the bush. How do you all do it I'm curious. I look forward to what others do as there doesn’t seem an easy option. I have a small huntech pack that is big enough for a full day hunt with room to carry out a whole venison. If doing an overnight I stuff it into the mighty 90l Cascade. I would love to reduce weight but the only way I see if to keep buying packs until I find the smallest one that still carries what I need. my K2 Hunter pack has a zip off daybag...... my polarfleece pikau is about 3 times the size of the commercial ones weighs the same.... multi day trip I wont be far from my main pack so the day bag is fine. 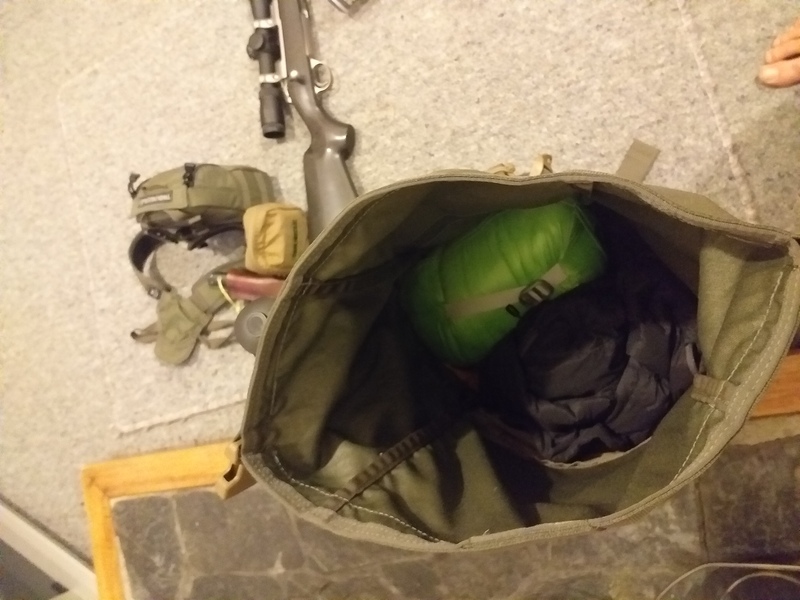 a 5 pocket bumbag is good but bulky and heavy..it lives in my pikau UNTILL I shoot something then goes on waist and doesnt get all bloody from meat in bag...the opposite way around from the old bumbag/backpacks LOL. Similar. I take a smallish frameless main pack, remove contents at camp and use the long top straps to pull said pack into an hourglass shape. 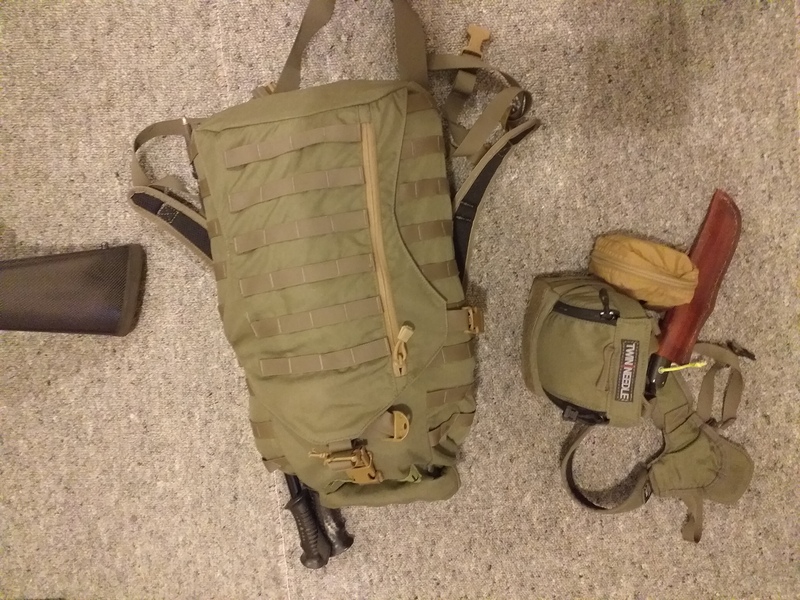 I can still use the upper part plus the exterior pocket and whole kit sits well within my shoulder width. 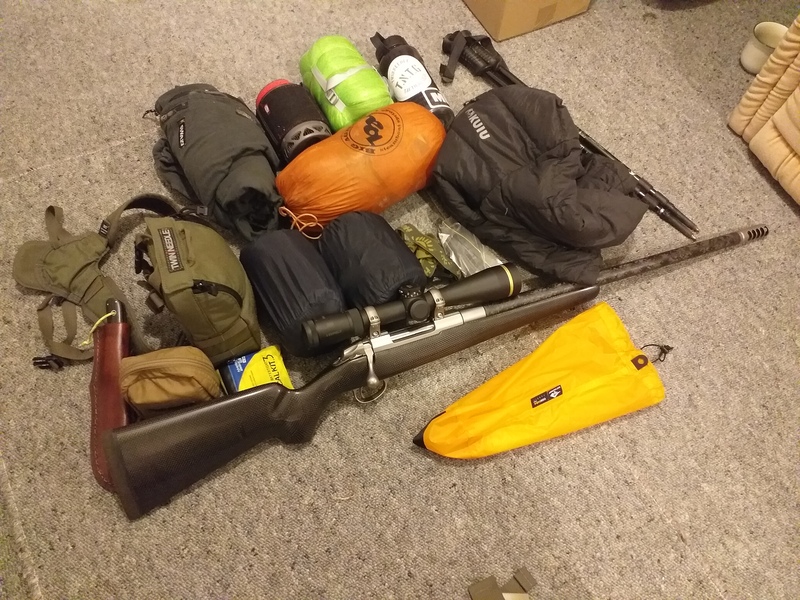 I have a 60L with a clip on day bag, Fill both with gear heading in, empty small bag at campsite to use as a day bag, that way you aren't carrying extra weight as such as you are utilising the small bag more. Last edited by ROKTOY; 31-03-2019 at 07:20 PM. I use those for my day trips and my summer over night trips in a hut. 1) I carry a shelter, even if I plan on staying at huts. 2) You never know when you are going to shoot a prime animal and want to carry out as much meat as possible. So large tatonka pack, with a pikau type Swazi fleece bag that weights nothing and rolls up small. I'm using a really light Aegismax bag but can swap to a Macpac Lattitude Xp if its gonna be really cold, it is still a pretty compact bag but to tell the truth I'm really impressed with how warm the little Aegismax is for its size and weight. Small first aid kit, 1 litre Nalgene bottle, headlamp, eating utensils, a down jacket, and Swazi Tahr round out all the gear I need to hunt comfortable for 2-5days and it all fits in the Mollyme no worries with room left for food and my camera. On my bino harness I have my binos, some wetwipes, my knife, a diamond stick, lighter, and rangefinder which I run in a twin needle ammo pouch so it holds spare ammunition also. outdoorlad, GWH, Nick-D and 4 others like this. Seems to do the job for me for a short day hunt. Packs down into itself. Enough to fit a bit of meat too. Don't usually hunt alone so between two of us we fit most meat in a couple of these packs.